The Geeky Junkyard of kingler » Blog Archive » Happy Chinese New Year! 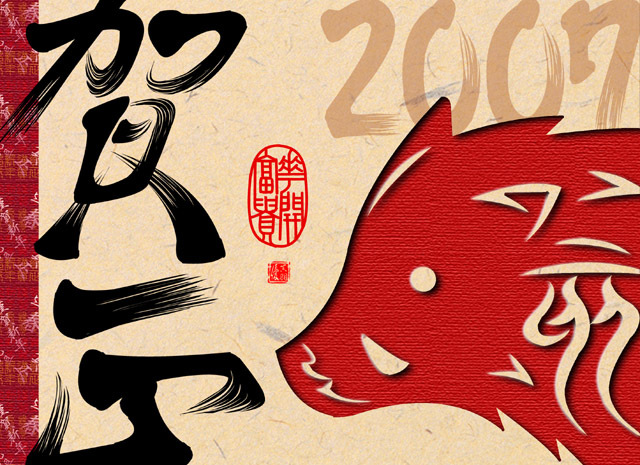 Tomorrow will be the first day of the Year of the Boar. Wish everyone a wonderful and fruitful year ahead! This entry was posted on Friday, February 16th, 2007 at 10:56 pm	and is filed under SiteNews. You can follow any responses to this entry through the RSS 2.0 feed. You can leave a response, or trackback from your own site. Hey there, I was just wandering the web and came across your site . Thought I’d say hello and tell you that I’ve enjoyed my visit here, hope you have a fantastic morning ! Happy new year to all of my chines brothers.